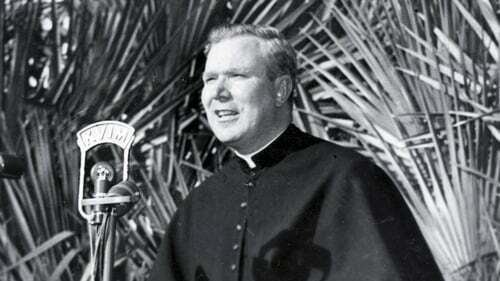 Fr Patrick Peyton was a Mayo-born priest, who became an improbable media mogul and friend of the stars and an even more unlikely CIA secret agent during the Cold War. Now he's the subject of a remarkable new RTÉ documentary, Guns & Rosaries. Producer Peter Kelly reveals how, in order to bring that great, untold story to RTÉ One, he, too, had to recruit Hollywood A-listers and to mine a rich seam of archive. It’s not often that we set out to make a religious biographical film and find ourselves dealing with issues of Hollywood glamour, Irish American social mobility, geopolitics and the actions of the CIA during the Cold War. Yet this is the background story to the life and times of Fr Patrick Peyton. As we’ve been working on this film over the past year, the story would widen and deepen with layers of this man’s life story becoming tangled with media and political intrigue of America in the 1940s, 50s and 60s. And to tell this story for television meant digging into film international archive sources – quite a logistical and financial challenge but we knew this would be essential to help RTÉ viewers get the wider social and political context. So we have gathered quite a compendium of film archive for this documentary! We have a great story to tell. Our central character, Fr Patrick Peyton is originally from County Mayo. An encounter with serious illness while studying for the priesthood in America led him to dedicate his life to promoting the Family Rosary. He embraced the media age; starting on radio in the mid-1940s and with his famous slogan ‘the family that prays together stays together,’ our Fr Peyton went on to build a media empire in TV and movies. The documentary places an Irish priest at the centre of Cold War geo-politics and Hollywood culture. 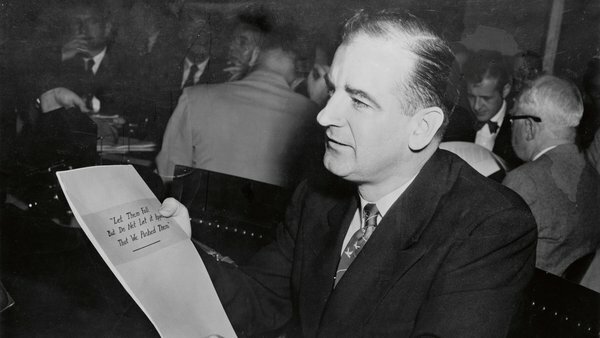 He recruited – or cajoled – scores of Hollywood stars to join his ‘Rosary Crusade’ and went on to stage Rosary Rallies across the world attracting millions.Bing Crosby, Grace Kelly, James Dean, Frank Sinatra, Edward G Robinson, Maureen O'Hara, Loretta Young, Jimmy Stewart, Gregory Peck and William Shatner all found it impossible to resist Fr Peyton's persuasive approaches. His homecoming tour during the Marian Year of 1954 attracted over 400,000 Irish people to come and see the Rosary Priest from Hollywood. We filmed interviews with contributors in Boston and Los Angeles – with people who knew Fr Peyton, including the old comedy stalwart Bob Newhart, one of the last of the Hollywood greats who worked for Fr Peyton. He told us that he just had to do whatever Fr Peyton said, "otherwise I’d go to hell!" There was an obvious choice when it came to finding a Hollywood A-lister to narrate our film. Martin Sheen told us he knew a little bit about Fr Peyton but when he heard about all the other aspects of the story he had no problem in saying yes! Martin is a great fit as narrator; obviously, he is a major Hollywood star but he is also a man of sincere religious belief. Raised a Catholic (his mother was Mary-Ann Phelan from Borrisokane, County Tipperary), he re-engaged with his faith late in adult life and is a prominent campaigner on social and political issues. And our story has a fascinating political twist as Fr Peyton became entangled with American foreign policy during the Cold War. Peyton’s ability as a PR and media guru with the capacity to sell an ideological message was noticed by the White House and the CIA. Fr Peyton’s call to prayer could become a rallying cry against ‘Godless communism.’ We now know that Fr Patrick Peyton was involved in a covert campaign, funded by CIA dollars, to combat leftist political movements in Latin America in the early 1960s. The Pope eventually forced Peyton to decline further CIA funding but he continued his media work until he died in 1992. The Holy Cross Family Ministries (the Foundation established by Fr Peyton) continues media work for the promotion of family prayer and there is Prayer Centre and museum to the memory of Fr Peyton in his home place of Attymass, Mayo. The cause for his Canonization was launched just a few years after his death and he was declared Venerable in 2017. So Fr Patrick Peyton is just one step away from Sainthood. The documentary places an Irish priest at the centre of Cold War geo-politics and Hollywood culture. We show how he became an international spiritual superstar in his own right, ran a media empire and yet who was also working for the CIA. The old adage rings true – the truth is stranger than fiction! Guns & Rosaries will be screened on RTÉ One on Thursday 21 March at 10.15pm. For more, check out RTÉ Brainstorm.